REGISTER FOR YOUR 2018/2019 HSA MEMBERSHIP! Enjoy the benefits of being an HSA member by signing up today. Only our registered members receive our eblasts regarding events and promotions throughout the year. 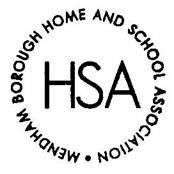 Members of the HSA are also given full access to the school directory. Membership for the 2018/2019 school year opens on July 1, 2018. To register please login to your account, go to the "for sale" icon and select directory/membership. Add the membership and if you choose the directory app to your cart. After you have purchased your membership, we encourage you to look at the numerous volunteer options that we have available. PLEASE NOTE THAT YOU DO NOT HAVE TO RECREATE YOUR ACCOUNT: PLEASE USE/EDIT YOUR EXISTING ACCOUNT IN ORDER TO ENSURE THERE ARE NO DUPLICATES. You will need to create an account for yourself. Please click on the "create account" icon at the top of the page, fill out your demographic/student information and proceed to the "for sale" icon to purchase your membership. You will need the security code of 1100 to register.